When it comes to living in a smaller space, thinking outside of the box is a must! From staying organized to specific placement, there are many practical ways to decorate a studio or efficiency without taking up a ton of space. At Lincoln Property Company, we enjoy creating an environment that fits you and your unique lifestyle. 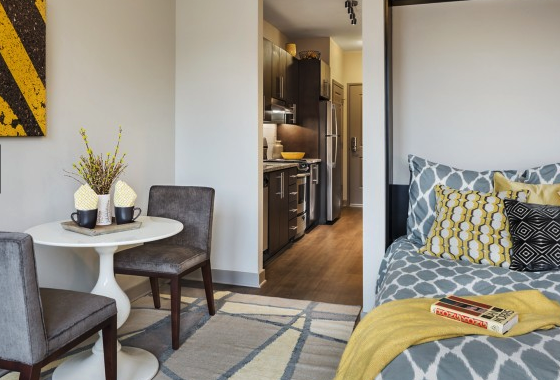 With the help of our Lincoln Legendaries award winners for Best Studio/Efficiency, here are a few ideas to help make your smaller space feel a little bit bigger! Create Separation With Color: Whether you love bright, bold shades or are drawn to tranquil, neutral hues, it’s easy to differentiate your spaces by color. 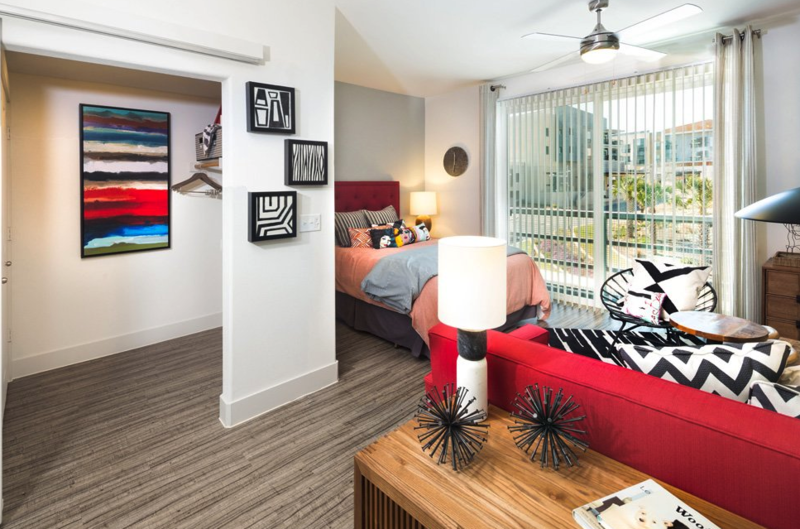 Opt for energizing colors in the living room such as red or orange and transition to toned down colors from the same spectrum in the bedroom to create a visual sign of division, as shown in this efficiency at The Standard at Domain. 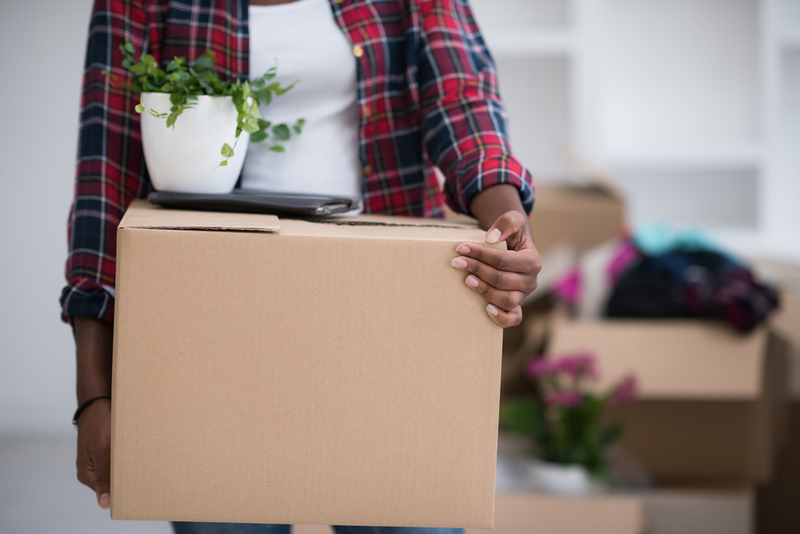 If you would prefer to add a physical piece to break up the room, opt for an easy-to-move partition or a space-saving bookshelf for extra storage. Invest In Stylish Storage: An important part of staying comfortable in a studio is staying organized and avoiding clutter. Look for pieces that can store extra clothing or trinkets while still standing out on their own. End tables with drawers, entertainment centers with spacious shelves, and desks are all great options for keeping knickknacks tucked away. Or consider placing trunk at the end of the bed, like this one at SkyHouse Main or hanging racks in the closet to help keep your place in order. Stick With Smaller Pieces: While large comfy sectionals are great to stretch out on during an afternoon nap, don’t waste precious space by picking up larger-than-life pieces. Choose smaller yet functional pieces that can work in different areas of the apartment, such as this circular table for two at Station 40. With scaled-down, lighter pieces such as a plush loveseat or a short dresser, you have the option to easily rearrange and freshen up your apartment the next time you feel like making a change. 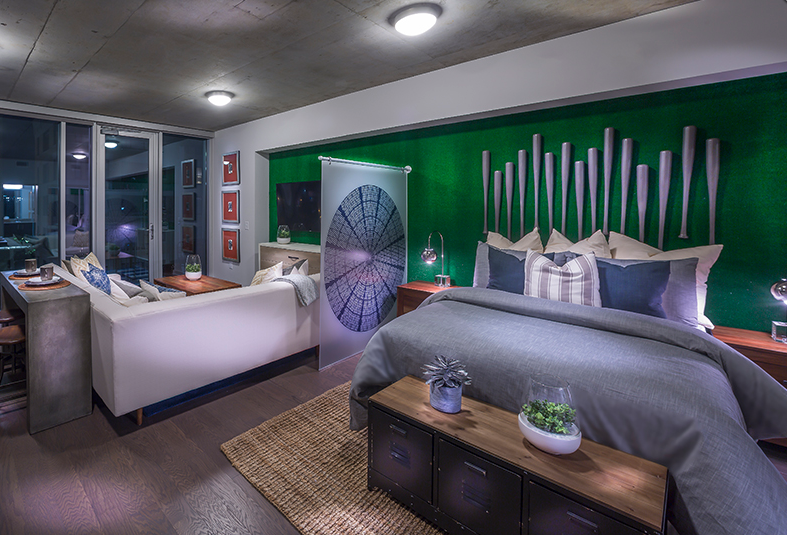 It doesn’t have to be costly or stressful when it comes to decorating a studio apartment. Making one of these small changes can have a big impact on your comfort level at home! To learn more about making the most out of your studio and our Lincoln Legendaries, contact us today!